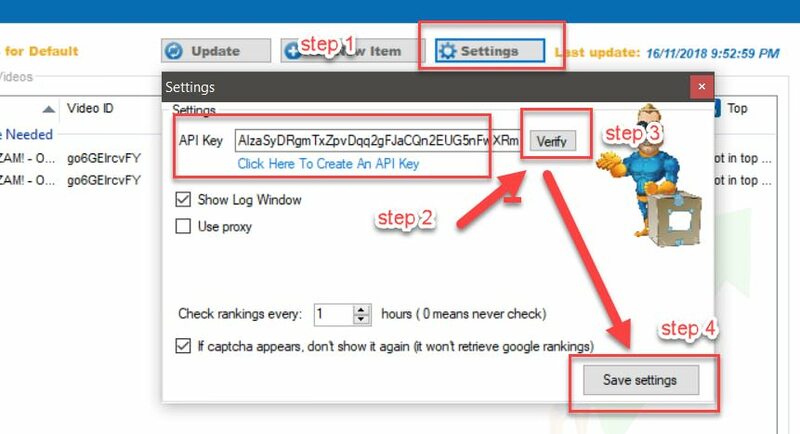 First , you need to add the API key as shown below. 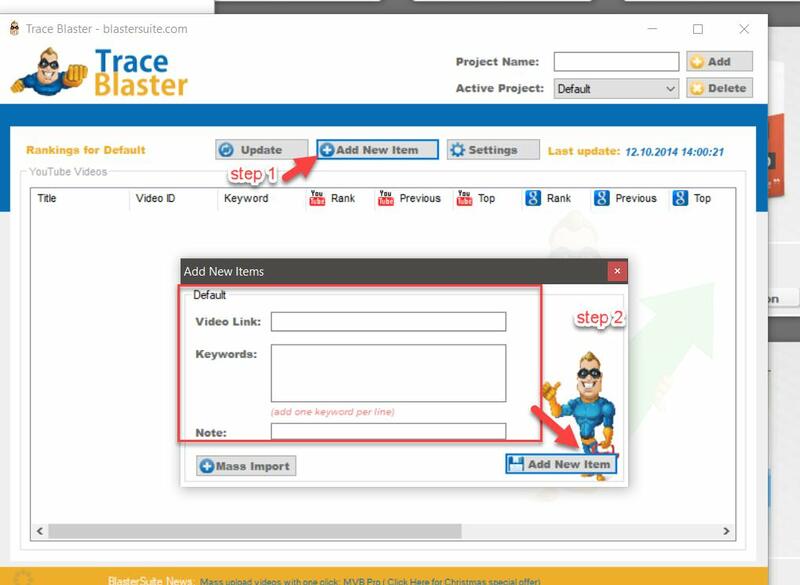 Click on "Settings" - key in the API key by following the instruction and "Save Settings"
Click "Add New" - fill in the information as shown below -"Add New Item"
In case you want to mass import a list of videos and keywords. you can click on "Mass Import" and make use of the pop-up example to setup the mass import file.